The first reading points out to us the humble attitude of the Suffering Servant. He is not one who will defend himself. To be a Christian is to be a person marked by the sign of the Cross. For some of us there will be mental agony, for others physical pain and for still others spiritual desolation. We cannot escape the Cross. What is our attitude to the Cross that comes our way? Without faith suffering is meaningless and pointless. Faith does not make suffering vanish from our life but gives us the assurance that He is there with us every step of the way. He does not talk for or about himself. He is the silent one. While he is the first to stand for justice for others he does not demand justice for himself. When we feel we are unjustly condemned how quick we are to hit back, to defend ourselves, to retaliate. Silence is seen as weakness and we feel we have to be aggressive; we have every right to defend ourselves. The innocent one is silent!!! There are times when Truth needs no defence! There is a story about an old man who lived in a small town. He had been an 'Uncle John' figure to countless young people. He taught them to hunt and fish. He was greatly loved. He owned a small piece of land, and continued to live there alone after his wife died. One day it was discovered that a valuable strain of copper ran right through his property. The old man had no use for money; all he wanted was to stay in the only home he had known. Finally the businessmen threatened him with lynching. At the appointed time, these leaders showed up at his front porch. The parish priest was there with 'old John'. The parish priest stepped forward and said: "John knows that he is going to die. He has a last will and testament that he wants me to share with you. He gives his fishing rod to Pete, because he remembers the first bass Pete caught with it. He wants his rifle to go to James, because he remembers teaching him to shoot." Item by item, the old man gave back in love to those who would kill him. The people left one by one. Then the old man's grandson asked, "What kind of will was that, Grandpa?" The old man replied, "The Will of God, son." ? In today's reading of the passion and death of Jesus, we listen to Luke's testimony in clear language telling us about Christ's suffering. We cannot read these texts without feeling invited to share Jesus' suffering and also his complying with the will of the Father. The Gospel describes to us in details the passion of our Lord Jesus Christ. From the path that marked his joyous entry into Jerusalem, he now walks the path that will lead to his death but ultimate victory. We could look at the passion of Jesus Christ from three stand points, three types of suffering that Jesus underwent and we experience as well: mental agony, physical suffering, and spiritual desolation. Jesus experienced mental suffering in the garden of Gethsemane. He knew he would suffer much and humanly speaking he felt the whole experience of desertion by his followers and disciples, betrayal by his very own, the misunderstandings of the religious authorities and the condemnation to a shameful death even before it happened. It was frightening and He sweated blood just thinking about it. "Father if it is possible take this suffering away from me, yet not my will but thine be done." All of us have sometime or another experienced mental suffering so we can all relate to what Jesus underwent in his mental agony. In time of mental suffering, often the only comfort we have is the knowledge that Jesus suffered mentally before us and is now supporting us in our hour of trial. In every Cross and trial there is Christ, even if we do not see or experience him. Secondly, Jesus suffered physically. He was brutally beaten, crowned with thorns, forced to carry the cross to Calvary and ultimately nailed on it and died on it. Again we can all relate to physical pain. We have all experienced it, some more than others. In time of physical sufferings often the only comfort we have is knowing that Jesus suffered the same way and is now supporting us in our hour of trial. Finally, Jesus suffered spiritually. 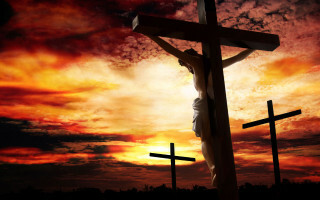 After having endured the mental agony and the physical tortures as he hung on the cross there was that one moment when he felt that even God had abandoned him. That perhaps was the worse suffering. Where was his father when he needed his consolation and support? It seemed that even his father had deserted him, "My God, my God, why have you abandoned me?" Again, we can all relate to spiritual sufferings. There have been times when all of us have felt abandoned by God. To be a Christian is to be a person marked by the sign of the Cross. For some of us there will be mental agony, for others physical pain, and for still others spiritual desolation. We cannot escape the Cross. What is our attitude to the Cross that comes our way? Without faith suffering is meaningless and pointless. Faith does not make suffering vanish from our life but gives us the assurance that He is there with us every step of the way. "If you wish to be my disciple, take up your cross and follow me." Some years ago I came across a short video film entitled "The Passion" by Stephen Shanks. What was unique about this ten-minute presentation of the passion was the fact that the same person played all the roles in the passion. He was Judas and Jesus and Peter and Pilate and the high Priest and ... ?What is the point the presenter is putting forth? In life we all play different roles all the time. There is the saint and the sinner in every one of us. We like to believe that we are not like the rest, that we are better people, that we are different. In all humility we have to accept our weaknesses and our strengths, our moments of grace and our moments of sin. A few years ago I was giving a Scripture workshop on the Beatitudes. "Blessed are they who mourn" provided the occasion to reflect on the laments of the Old Testament, which formerly marked the solemn celebration of Good Friday at the Tenebrae service. With the help of a sensitive young liturgist, we put together an evening prayer of lament, modeled on the standard prayer that chose lament psalms and readings. In place of petitions we asked people to utter simple prayers such as "I grieve over..." or "I lament ..." each utterance was followed simply by prayerful silence -no requests for help, no expressed hope that it would come. Suppressed grief and frustration over the reign of evil in our world echoed through the chapel. There was a sense of Christ praying in us during the waning hours of the day. Participants said it was one of the most moving and healing liturgies they had experienced. 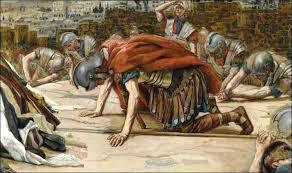 - The sufferings of Jesus remind us that his followers will also walk to many Calvary's. In a haunting lament our African-American brothers ask us if we were there "when they crucified my Lord." The passion narratives allow us to express abandonment, but assure us no one need tread the wine press alone. Voltaire was the 18th century French atheist philosopher. All his life he openly proclaimed and preached atheism. He was a very brave and outspoken critic of religion. But when he neared his death, he started shivering and shuddering. He said to the doctor attending him, "I'll give you half of what I am worth if you give me six months of life." His doctor said, "Sir, you cannot even live for six weeks." Then Voltaire despairing said, "Then I will go to hell and you will go with me." Later, he died in despair. The prospect of his death shook his convictions and composure. -Jesus was marked for death. The Jews were fond of marking people for death. Ariel Sharon, the Prime Minister of Israel had marked Sheik Ahmed Yassin, the founder and spiritual leader of Hamas -the terrorist group and Yasser Arafat for death. But why was Jesus marked for death? He did not kill anyone; in fact he taught even his disciples to love their enemies and pray for them. He was the advocate of love, yet the Jews had marked him for death. Jesus knew that he was marked for death, yet he was not afraid of death. He marched towards it. He had a mission in his life and that was to save the world through his death. All people in this world are born to live, but Jesus was born to die. But for Jesus it was a goal he was pursuing. 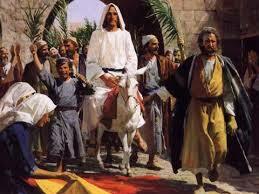 Although, He knew that he would be killed in Jerusalem, still he marched towards his death triumphantly. H.G. Wells, the British historian and novelist, was a non-Christian. To him, Jesus was no more than the world's greatest teacher. 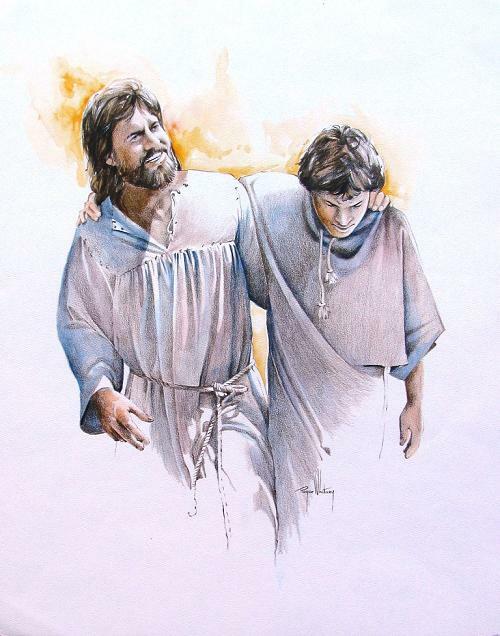 He held Jesus in great esteem, but would not make a personal commitment to him. To C.S. Lewis, British theologian, this was both strange and unacceptable. He felt Wells, evaluation of Jesus was inconsistent with his belief. Lewis thought if Wells had such a personal admiration for Jesus, why could he not make a personal commitment? Jesus is surely far more than a great teacher -he is the son of God, he is God made man, he is our Lord and Saviour. To quote C.S. Louis, "When it comes to Jesus, you can't have your cake and eat it too - there is just no room for a compromise. Only four choices are open to you. 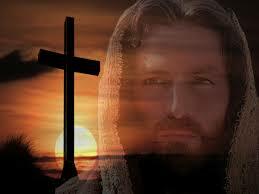 Jesus was either a fool to be pitied, a mad man to be shunned, a devil to be stoned, or the Lord to be adored." ?Very rightly and wisely, each and every one of us has opted for the last - we respectfully and gratefully honour Jesus as our Lord and Saviour. 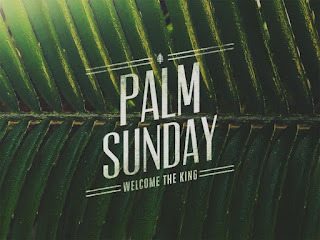 Today is Palm Sunday as well as Passion Sunday. 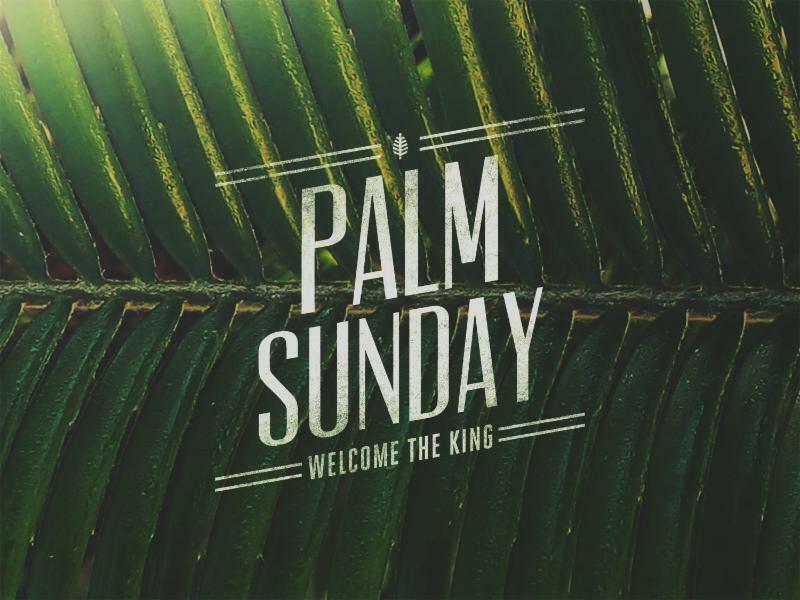 The palms remind us of the triumphant entry of Jesus into Jerusalem to the sound of Hosannas and the Passion Sunday readings reminding us that very soon the hosannas will change into "Crucify Him! Crucify Him!" The entrance of Jesus into Jerusalem was a victory procession. Knowing very well that He was going to face death, Jesus starts on a victorious note. His passion also will end on a victorious note. May this entering into the sacred events not only be a recalling of a past event but the re-living of the central mystery of our faith that gives us new life. Max Lucado reminds us that each of us has got a donkey that the Lord needs. "Sometimes I get the impression that the Lord wants me to give him something and sometimes I don't give it because I don't know for sure, and then I feel bad because I've missed my chance. Other times I know he wants something but I don't give it because I'm too selfish. And other times, too, I hear him and obey him a few times and feel honored that a gift of mine would be used to carry Jesus to another place. And still other times I wonder if my little deed today will make a difference in the long haul. Maybe you have those questions too. All of us have a donkey. You and I each have something in our lives, which if given to God, could, like the donkey, move Jesus and his story further down the road. Maybe you can sing or hug or programme a computer or speak Swahili or write a cheque. Whatever, that's your donkey. Whichever, your donkey belongs to him. It really belongs to him. Your gifts are his and the donkey was his. The original wording of the instructions Jesus gave to his disciples is proof: "If anyone asks you why you are taking the donkey, you are to say, "The Lord is in need." So, what is the name of your donkey? The Lord has a need of it. The first reading highlights the trusting and humble attitude of the suffering servant of God. He does not seek his defense, he does not avoid suffering, he does not run away from it. Instead, he accepts it and meets it head on because this is what God wants of him. At the same time he knows that what he is doing is not because of his strength of will but because of the help of God. What is our attitude to the suffering that comes our way? Do we grumble about it, proclaim our innocence, blame God, or blame others for what is happening to us? We can only be like the suffering servant if we ask for his help to willingly accept the cross that comes our way. "I can do all things in Him who strengthens me." Voltaire was an eighteen century French atheist philosopher. All his life he openly proclaimed and preached atheism. He was a very brave and outspoken critic of religion. But when he neared his death, he started shivering and shuddering. He said to the doctor attending to him, "I will give you half of what I am worth if you give me six month's life." His doctor said, "Sir, you cannot even live for six weeks." Then Voltaire despairingly said, "Then I will go to hell and you will go along with me." Later, he died in despair. The prospect of death shook his convictions and composure. - Most people are terrified and petrified at the thought of death. Jesus was marked for death. He knew he had come into this world and would have to die for men's salvation, yet he was unafraid of death. He boldly enters Jerusalem where he knows he will be put to death. He had accepted his passion and its consequences -death, as coming from the hands of his Father, so he moves on fearlessly, choosing to suffer and die in obedience to the Father. The Gospel describes to us the passion of our Lord Jesus Christ. We could look at the passion of Jesus Christ from the three types of suffering that Jesus underwent: mental agony, physical suffering, and spiritual desolation. Firstly, Jesus experienced mental suffering in the garden of Gethsemane. He knew he would suffer much and humanly speaking he felt the whole experience of desertion by his followers and disciples, betrayal by his very own, the misunderstandings of the religious authorities and the condemnation to a shameful death even before it happened. He sweated blood just thinking about it. "Father, if it is possible, take this suffering away from me, yet not my will but thine be done." In time of mental suffering, often the only comfort we have is the knowledge that Jesus suffered before us and is now supporting us in our hour of trial. In every Cross, Christ is there, even if we don't experience him. Secondly, Jesus suffered physically. 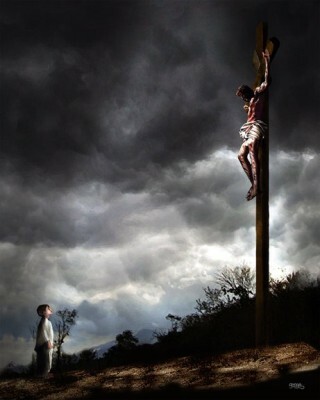 He was brutally beaten, crowned with thorns, forced to carry the cross to Calvary and ultimately nailed on it and died. We have all experienced physical pain, some more than others. Finally, Jesus suffered spiritually. After enduring mental agony and the physical tortures as he hung on the cross there was that one moment when he felt that even God had abandoned him. That perhaps was the worse suffering. "My God, my God, why have you abandoned me?" Again, we can all relate to spiritual sufferings. There have been times when all of us have felt abandoned by God. To be a Christian is to be a person marked by the sign of the Cross. For some of us there will be mental agony, for others physical pain, and for still others, spiritual desolation. We cannot escape the Cross. What is our attitude to the Cross that comes our way? Without faith, suffering is meaningless and pointless. Faith does not make suffering vanish from our life but gives us the assurance that He is there with us every step of the way. -Some people become bitter through suffering, others better! 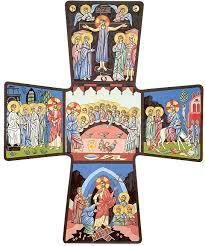 "If you wish to be my disciple take up your cross and follow me." All of us have experienced mental suffering so we can all relate to what Jesus underwent in his mental agony. I remember meeting a man who had been an alcoholic and who had messed up his life and was now living alone. Talking about his life he said: "Father, my divorce and separation from the family happened years ago and yet every day when I get up in the morning and stare at the four walls of my room I feel like it had happened yesterday. The pain is so real. I feel terribly lonely without my family and I know they will not come back." Confessing an even more horrifying anxiety of what would happen to him at death, he said: "Father, somehow I am not afraid of the moment of death, but the thought that I would be lying stone-dead for days on end without any one finding my body, because no one really cares to visit me, is even more frightening." Some years ago, Sr. Rani Maria, a nun working with the poor tribals in Madhya Pradesh, India, was assaulted while she was on a bus journey. She had been working for the social uplift of the poor, helping them to get out of the clutches of moneylenders. Their ringleader entered the bus she was travelling on and stabbed her thirty times and dragged her body out of the bus and left her to die on the road with no one daring to help. She died bleeding to death, a martyr to the cause of the poor. What gave her the strength to carry on her work in the face of death threats was her faith in God. In time of physical sufferings, often the only comfort we have is knowing that Jesus suffered the same way and is now supporting us in our trials.Spiritual abandonmentIt was this kind of suffering that an American priest, Walter Ciszek, endured in Russia, where he was imprisoned for 23 years. On one occasion he became so spiritually depressed that he was on the brink of despair. But instead of giving up, he imitated Jesus on the cross and turned to God in his hour of trial. He said: "I told God that my abilities were now bankrupt and he was my only hope. I can only describe the experience as a sense of 'letting go'." At that moment, as never before, Fr. Ciszek understood the meaning of Jesus' last words on the cross: "Father, in to your hands I commend my spirit." That one decision, he said later, enabled him to carry on and survive. One of the great blockbuster movies which made ripples across the world was The Passion of Christ by the Oscar winning Hollywood actor and director Mel Gibson. The movie is about the last twelve hours in the life of Jesus. In Texas, a 21 year old man, Dan Leach, murdered his wife, Nichole Wilson, and stage-managed it as if she had hanged herself. The post mortem said it was a suicide. Her mother found her body on January 19, 2004 in her apartment. Two months later Dan Leach went and surrendered himself to the police, saying he was the one who murdered his wife and made it look like a suicide. When the detectives asked him why he had surrendered, he said, "After watching the movie The Passion of Christ, I was compelled to seek redemption." The whole movie is one unrelenting violence and bloodshed endured by Jesus -all for our redemption. The common reaction after watching the movie is either deep silence of the audience or tear stained cheeks. After watching the movie one man said, "No matter what you are - whether you believe in Jesus or not, you will begin to love Jesus, who suffered for you." The Passion of a Compassionate Christ"Francis, I have some bad news to give you, Ishan is suffering from cancer -leukemia." The voice at the other end of the phone broke down and I felt a stab of pain in my heart. Four-year old Ishan is the only son of my closest friend in Delhi. I write these reflections after sitting with little Ishan in hospital, crucified to his cot with injections, saline drips and blood transfusions. Suffering even more are Lester and Ishita with whom I sit silently, only being able to whisper, "Everyone is praying for you; Jesus is with you in your pain." Jesus, I believe, is unfailingly with us in our sufferings, and so, it would be fitting on Passion Sunday to be with Him in His. - Passion Sunday brings us face to face with a compassionate Christ. Jesus' passion is, therefore, not some isolated event in his life but the inevitable outcome of a life lived in solidarity, in suffering with the last, the lost and the least in society. But a cloak could always be OFFERED. Sir Walter Raleigh legendarily swept his cloak off his shoulders and flung it over a mud puddle so his Queen's foot would not be dampened. In today's gospel text cloaks were offered for theological, not meterological reasons. 1) The six-year-old came home from Palm Sunday services proudly carrying his palm. Mom and Dad quizzed him on his Sunday school lesson for the day. He responded enthusiastically, "Jesus came to Jerusalem on a donkey. And the happy people waved their palm branches and sang, “O Susanna..."
2) "Why do you have that palm branch, dad?" Little Johnny was sick on Palm Sunday and stayed home from church with his mother. His father returned from church holding a palm branch. The little boy was curious and asked why. His father explained, "You see, when Jesus came into town, everyone waved palm branches to honor him; so we got palm branches today." "Aw, shucks,” grumbled Little Johnny. "The one Sunday I can't go to church, and Jesus shows up!" Winston Churchill once listened to a hot-tempered raving, ranting tirade directed at him by an opponent whose mouth worked faster than his mind. At the end of it, Churchill said, in his own Churchillian way, "Our honorable colleague should, by now, have trained himself not to generate more indignation than he has the capacity to hold." A lot of people are like that. 6. On Friday, the fifth day, following betrayal, arrest, imprisonment, desertion, false trials, denial, condemnation, beatings and sentencing, Jesus carried his own cross to "The Place of the Skull," where he was crucified with two other prisoners. The reality is that, if we figure to survive in this world, we had better have hope. The ancients knew that. Do you remember Pandora? Mythology has her as a lady endowed with every charm...the gift of all the gods. She was sent to earth with a little box which she had been forbidden to open, but curiosity finally got the better of her...she lifted the lid and out from that box escaped every conceivable kind of terror. Pandora made haste to close the box up again, but it was too late. There was only one thing left...HOPE. That was the ancients' way of saying how important hope is. Even when all else is lost, there is still hope. Palm Sunday - Who Is That? "Oh. So it's not George Clooney? Not Tom Cruise or Katie Couric, not Bill Clinton? Joshua Jones from Nebraska? Oh. That's nice." But then eyes roll, eyebrows rise, and smirks are repressed as the big city folks go back to their big city business.